Synopsis: An unflinching account of one woman's harrowing descent into a nightmare of violence, fear, and drugs describes falling in love with Mark Davis, a handsome man employed on Wall Street and secret crack addict, whose ever-worsening dependence on drugs transformed him into a monster, and her three-year ordeal at his hands. Repirnt. Synopsis&colon; A CANDID AND HEARTWRENCHING TALE ABOUT LIVING WITH DRUGS, VIOLENCE AND FEAR This is the riveting and harrowing true story of a wife's descent into a nightmare of drugs, fear and violence. At 25, Cynthia Hunter was a respected army veteran with a good job, a sweet 7 year old son and a no-nonsense attitude. But from the minute she met Mark Davis, she fell under his spell. Gregarious, smart and charming, with a job on Wall Street, Mark promised her the world. Three months pregnant when she first discovered that Mark was a drug addict, Cynthia hid her "terrible secret" from friends and family while her husband's worsening addiction turned him from the loveing generous man he once was into a monster capable of anything. 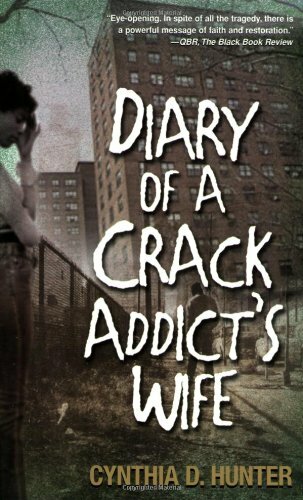 In this candid tale, Cynthia Hunter delivers a straight-up account of her three-year rollercoaster ride with the addict she loved: the stealing, the lying, the betrayals, the violence that left her fearing for her life and the reconciliations, the hopeful attempts at rehab and the final, desperate act that allowed her to walk away and live in freedom at last. As powerful in its love as it is brutal in its honesty, this is a truly searing memoir.